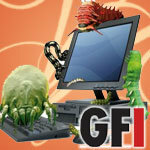 GFI Vipre: Facebook Users Beware-A little too chatty? Some downloads come with additional extras that you wouldn’t see if you’d grabbed them from the official developer site. 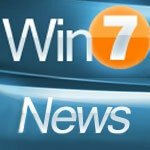 Win7News.net: Windows 7 v. the Apple Cats -Who’s More Secure? It’s “common knowledge” that Mac users don’t have to worry about all those pesky security issues that plague PC people, right? GFI Vipre: Privacy? What Privacy? There are those folks who tell me they’ll never use Windows 7 because of the horrible, heinous DRM that’s hidden in its nooks and crannies. This technology is lurking in the woodworks, ready to pounce out and take away all their freedom and liberty, violate their constitutional rights and remove all their control over their computers. To gain a better understanding of home computing practices, GFI® Software commissioned a scientific study of home Internet use by parents and their teenage children. This population represents a particularly interesting “risk pool” not only due to their usage patterns in the home, but also due to the theory that “tech savvy” teens, who have spent their entire cognizant lives in the Internet age, may prove to be a harder human target for social engineering attacks than their elders. Microsoft’s Kinect technology is now more than just a cool gaming control system…it shows incredible potential as an input system for more serious purposes. 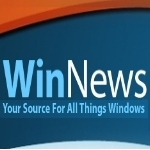 Win7News.net: Do You Want Windows 7 to Act Like Your Smartphone? What if you could use smartphone-style apps on your computer, too? Well, now you can.